difference between Military Working Dogs and Contract Working Dogs (CWDs) which are, as Bill Childress, the Marine Corps MWD program manager, explained it to me, a little like Rent-A-Cops — the military contracts out CWD teams for certain missions. 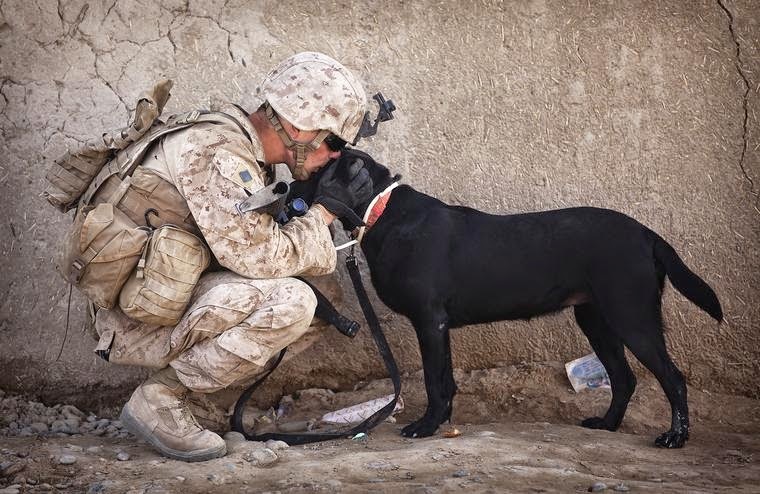 The U.S. military did leave its dogs behind, once, more than 40 years ago. When U.S. troops made their hasty withdrawal from Vietnam, they did not take the dogs with them. They were left in the care of South Vietnamese and most likely met a terrible end. It is a blemish on our military history that cannot be washed away. But one I believe would never happen today. General: Sending military to fight Ebola ‘misuse’ of soldiers.